A new type of market interaction in the form of branded add-ons have emerged with the increased use of social media. By "add-ons" I am referring to things such as plug-ins, widgets, gadgets, templates, applications, etc. used to enhance the functions and aesthetics of social media services. Initially the add-ons were typically offered for a fee/donation or as free open source stuff. Developers of the open source variants frequently give their work away as a method of marketing themselfes. Of course a measure of altruism is typically involved as well. 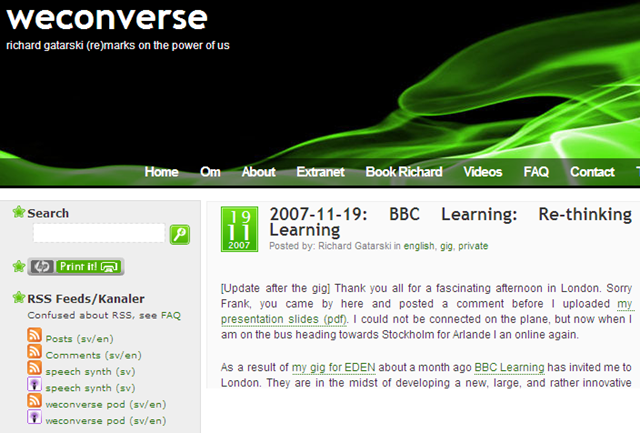 For example Andreas Viklund have published a great number of free open source design templates for web sites and blogs. 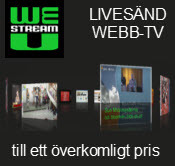 In that case Andreas Viklund is "the brand" (even though Andreas makes some money from ads on his web site). Another, more commercially oriented, branding approach is found where the Southern Highlands town of Bowral have developed the Tulip Time Theme for WordPress. Likewise Highlands by Design made and publish the Silver Lexus theme. Bloggers may use the themes, thus promoting a brand (Tilip Times and Lexus), but are also required to link back to the provider. In that fashion the brand is communicated when the theme disseminates on the web. The increasingly popular approach when brands develop applications for Facebook does also fall into the category of "marketing through add-ons". Presumably this method will be even more useful when other social networks support application add-ons. Googles Open Social initiative might be a ground breaker in this context. Now let us look into the case that drew me into writing this post. Last week Ståle Raknes commented on a post here in weconverse. He also said that I, who is so obsessed by good web design, should offer a printer friendly version of weconverse’s posts and pages. I could do nothing but agree. The idea had actually crossed my mind earlier. Unfortunately Mandigo by tom, the theme used in weconverse (described further in Swedish), does not offer any built in feature for printer friendly page layouts. Before this summer I looked into how printing could be done – and realised it would take me more than 20 minutes. As I am not very fond of paper, my decision then was to postpone a "print this" feature. But now. when at least one of the weconversers seems to want it, I had to yield. After re-visiting the plug-ins directory for WordPress I found two plug-ins that I could use. WP-print by Lester ’GaMerZ’ Chan looked at first very promising. But some of its technical details made me vary. 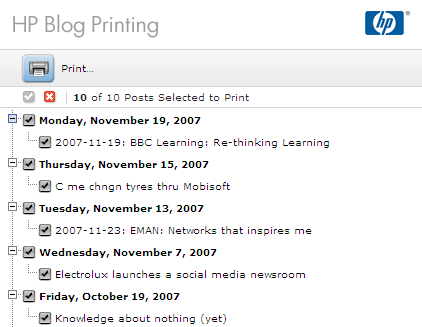 The other one was the HP Blog Printing plug-in, which currently is available for WordPress and Movable Type. Tabblo links to TechCrunch as a demo site. I tried it out and realised that the actual implementation is rather non conventional. Take for example that I had to provide an e-mail address just to download the software. I have never run into another plug-in that even asks for my personal information. In my view the installation was not as straight forward as I expect from such a well known brand. I do not want to be too technical here, so I will only mention that besides uploading and activating the plug-in I also had to modify the PHP code in some files. Even though that is described in the instructions, my bet is that many regular WordPress users will be scared away. At least I was until Ståle motivated me go ahead. When users press the "print button" a new window hosted by HP’s Smartwebbprinting.com pops up (see illustration here). In other words, their blog print feature is depentent on a web service outside your WordPress installation. By default the last 30 posts are selected for printing. Awkward for a visitor that justs wants to print one post. Furthermore, to clear the check boxes one has to klick a red "x"-icon which connotes "delete" more than "un check". I wish good luck to anyone wants to print out a relatively old post. You mave have to browse through pages of post listings. On the other hand, the print outs look really nice. And (of course :-) the plug-in attempts to immedieately print the result to your default printer. The only thing you can configure in the plug-in’s feature is the print icon graphic and size. Unfortunately only posts can be printed, not static pages or side bars. When experimenting further I found that attempts to use the HP Blog printing feature from a static page gives the error "Sorry, this posts is password protected and not printable" (their spelling error, but I make those too :-). Most likely a bug when handling pages. 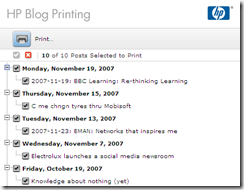 To summarize the HP Blog Printing plug in it is an interesting approach that some bloggers, like Neville Hobson (and I), will find useful. How brand enhancing it will be for HP is an open question. My recommendation is that HP streamlines the installation procedure and looks over what can be printed and how it is selected. Finally, I decided to also install WP-print, even though it too requred some PHP modifications. On the other hand visitors of weconverse can easily print out individual posts as well as pages. I have also enabled the options that includes a reference to the source, a list of URL s for the links, and a copyright notice. I do not doubt for a minute that WP-print enhances the brand value of Lester Chan. Inlägget postades måndag 26 november 2007 klockan %H:%M och finns under english, Geekigt, Okategoriserade, weconverse. Du kan följa kommentarer till detta inlägg via RSS 2.0 flödet. Du kan hoppa till slutet och lämna en kommentar. Pingning är just nu inte tillåtet.